This MID-CUT modern multifunctional boot has been manufactured using a special women's last and impresses with its perfect fit and stability. This makes the FERROX EVO GTX® MID Ws ideal for dynamic outdoor activities. 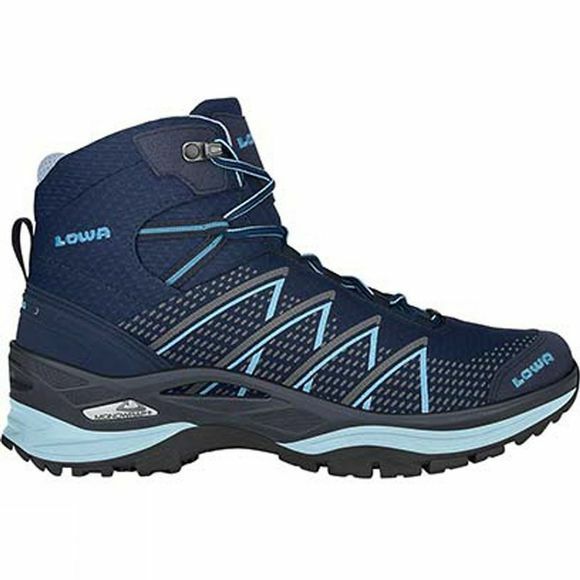 The upper made of durable synthetic material saves weight and offers good stability. In addition, the sporty boot is guaranteed waterproof thanks to the GORE-TEX® lining and makes your feet feel right at home.